What does a Bartercard USA Franchise Cost? The Bartercard network is based on a simple, flexible system which converts excess stock, downtime, spare capacity or vacant seats into extra sales for its members. Bartercard is a trade exchange which allows businesses to buy goods and services from other businesses using their goods and services.Talk about a sustainable business. This system is all about utilizing spare inventory and services. Bartercard members are able to improve profits and reduce expenses in their business just through the trade of excess goods. Wastage and downtime becomes a viable asset when you trade using Bartercard. Franchisees will receive the tools and training required to run a successful Bartercard franchise and have access to all Bartercard innovations and services. 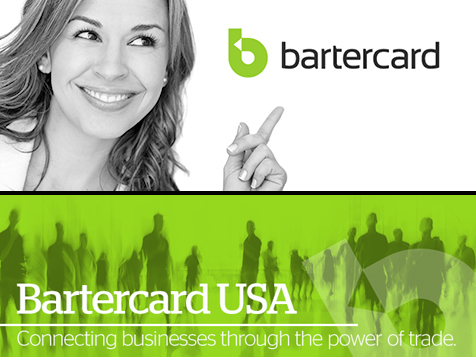 Open Bartercard USA in any of these available states: AL, FL, GA, NC, SC, TN, VA. The Bartercard network is based on a simple, flexible system which converts excess stock, downtime, spare capacity or vacant seats into extra sales for its members. Bartercard is a trade exchange which allows businesses to buy goods and services from other businesses using their goods and services. "Trade dollars", which are equivalent to the American dollar, keep track of the trades. Talk about a sustainable business. This system is all about utilizing spare inventory and services. Join a business network with 55,000 cardholders who barter-trade over $60 million every month with 72 offices around the world. Bartercard members are able to improve profits and reduce expenses in their business just through the trade of excess goods or filling idle capacity. Wastage and downtime becomes a viable asset when you trade using Bartercard. Franchising for 23 years, Bartercard has an incredible opportunity for regional developers to build and grow a Bartercard business among 15 Bartercard regions in the United States. And, each regional developer has an opportunity to build about 20 franchises in each of those regions. Bartercard’s goal is to roll out these regions by 2020 and add 500,000 card holders in the US. Become part of the fastest growing industries in the world. 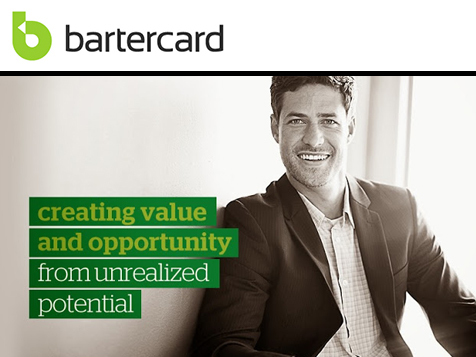 Bartercard franchisees are granted the rights to operate a territory within one of the globes most successful and internationally appraised business-to-business franchise operations. Franchisees receive the tools and training required to run a successful Bartercard franchise and have access to all Bartercard innovations and services. 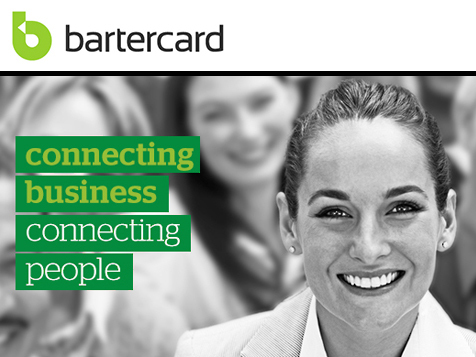 Join the success of Bartercard. Enjoy comprehensive training, set up and ongoing support from Bartercard's world-class management team. Initial series of training modules to provide the tools required to run a successful Bartercard Franchise. (Further advanced modules are available within the first year of operation). Bartercard provides web-based technology to manage the franchise, all of which is entirely constructed, deployed, updated and managed by Bartercard's National Office. All trading transactions are centrally administered. Hands on world leading management and technology support systems. National branding as well as local-area-marketing support. A successful franchisee has the potential to grow their business and the value of the business. Assistance finding an office site and assistance with the fit-out, design and set up. A defined marketing territory for development and expansion. Complete the form to inquire about becoming a Bartercard Business Development Consultant and available franchises in your area.